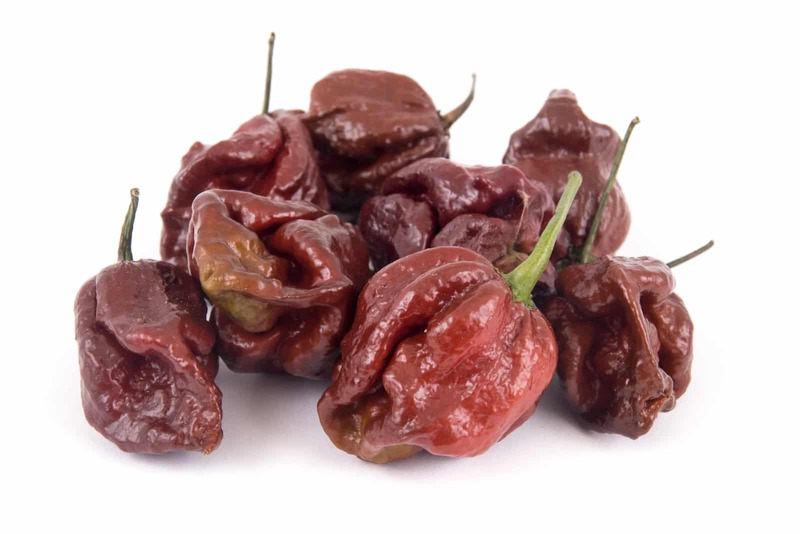 When you hear the term ”Trinidad” in relation to chili peppers, a world of super-hots come to mind: the super-fiery Trinidad moruga scorpion or one of its Caribbean relatives like the extra-hot habanero or Scotch bonnet. But in the case of the Trinidad Perfume, while the pepper carries a similar “gonna burn you up” look, its heat is far from it – it’s more akin to a bell pepper in fieriness than a scorpion pepper. Yet the Trinidad Perfume still carries that delicious fruitiness those super-hots are known for, making this chili a perfect low-heat option for tropical salsas and hot sauces. How hot are Trinidad Perfume peppers? Among mild chilies, the Trinidad Perfume comes in among the mildest on the block. 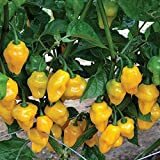 Ranging from 0 to 500 Scoville heat units (SHU), it falls in-line with the very eatable banana pepper in terms of overall spiciness. Trinidad Perfume peppers will be at least five times milder than a jalapeño pepper, with the possibility of caring no perceptible heat at all. Anyone in the family can enjoy this chili. They look like they should be a whole heck of a lot hotter! Trinidad Perfume share the same lantern-like shape and sinister-looking tail as scorpion peppers. 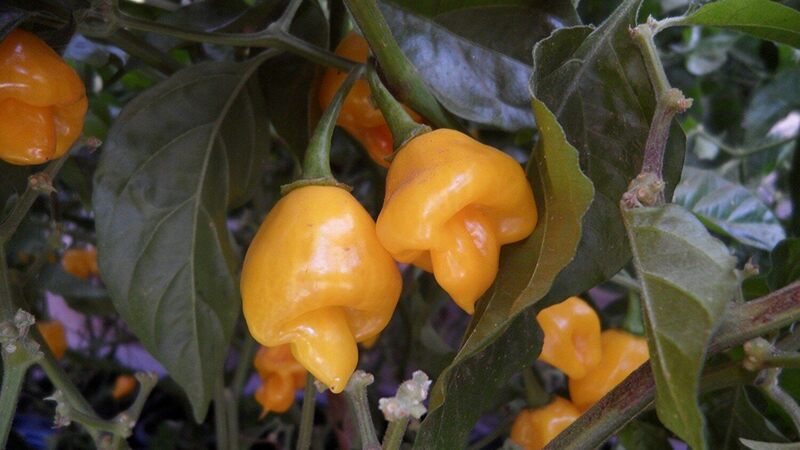 They mature from the typical chili green to a bright yellow or yellow-orange hue, an orangish color similar to that you see on the common habanero. That’s what makes the heat of these chilies such a surprise – their looks profile at the upper end of the pepper scale, yet deliver little more than a simmer in reality. What do Trinidad Perfume peppers taste like? Here’s where these chilies really shine. Trinidad Perfume don’t carry that heat of super-hots, but they sure do carry a comparable fruity flavor. It’s a fruitiness that’s actually very hard to source on the lower end of the Scoville scale – sweet, slightly citrusy, and certainly tropical. It has a fruity aroma, too (hence the ‘perfume’ in the name) that makes these chilies a joy to cook with in the kitchen. So light heat and plenty of sweet flavor? This is a near perfect salsa chili pepper, especially for tropical salsas. If you want that Scotch bonnet salsa flavor without that wicked fire, the Trinidad Perfume is perfection. 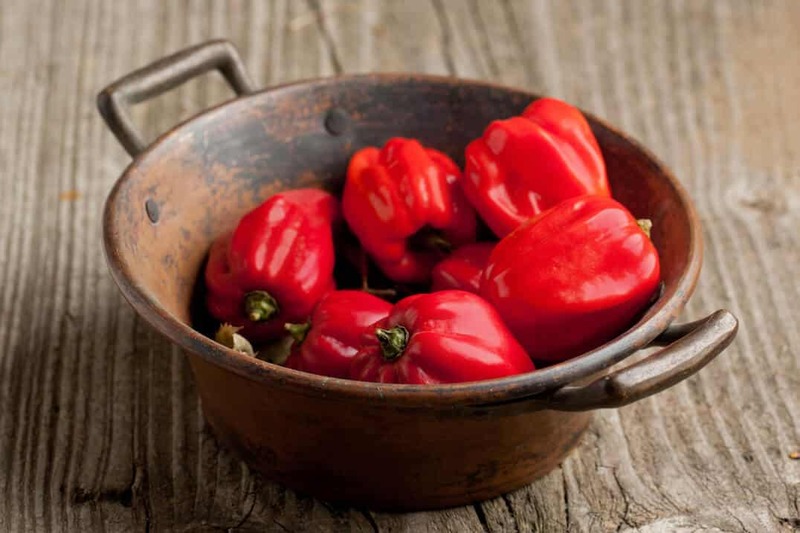 You can also use it as a sweeter bell pepper alternative for salads, soups, and dips. And if you’re into pickling, the Trinidad Perfume makes for a very interesting sweet-tart pickling pepper. Where can you buy Trinidad Perfume peppers? 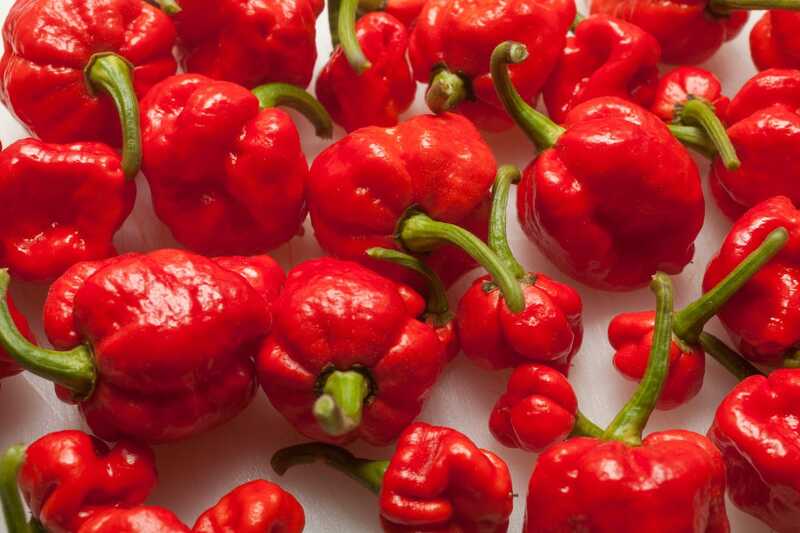 Unless you’re in the Caribbean, you won’t find these chilies fresh at your local grocer. They are relatively hard to source, so your best bet is to search out local growers of this chili or grow them yourself. You can buy Trinidad Perfume seeds online easily. The Trinidad Perfume certainly has a special place in the pepper scale, providing big super-hot fruity flavor without the super-hot heat. If you like your chilies on the sweeter side and prefer lower levels of spiciness, this is a chili that you must get to know. It’s perfect for a mild tropical salsa. Trinidad Perfume pepper. 40+ fresh organic seeds for 2018 season. Trinidad Perfume Pepper (Heirloom Seeds) Wonderful aroma, Open pollinated !